If you have driven down most any neighborhood street, you've likely noticed paint chipping away from more than one aluminum mailbox. The culprit in this sort of wearing is virtually always poor surface preparation. Because metallic surfaces are slick and nonporous, they must be conditioned before paint will adhere to them. Unfortunately, aluminum's durability makes friction-based abrasion techniques useless. You will need to apply a special type of primer that will abrade the surface of the mailbox, or you will eventually end up with chipping and flaking. Do not use bonding primer to coat an aluminum mailbox. 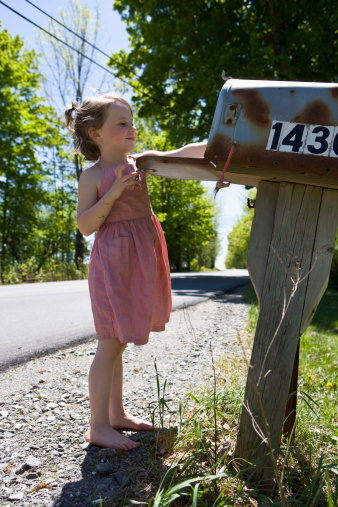 Remove the address numbers from the mailbox. Use a screwdriver if they are screwed on. Use a plastic putty knife to scrape them away if they are stickers. Scrub the aluminum mailbox clean using a water-based degreaser. Rinse the mailbox using a water hose. Allow the surface to dry completely, and then scrape away any loose or peeling paint from the mailbox using a plastic putty knife. Apply painter's tape to the mailbox flag and any other areas of the mailbox you want left unpainted. 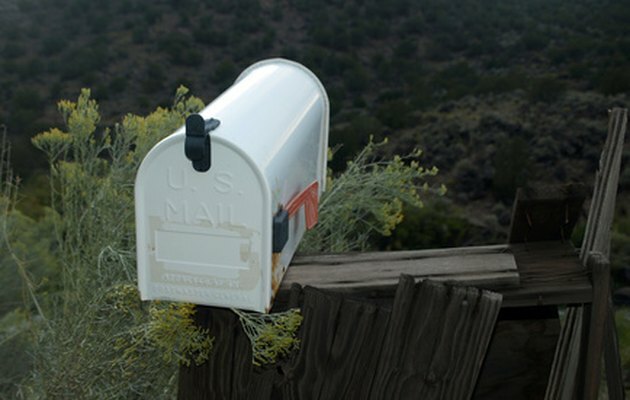 Apply a spray rust sealer to any rusted areas of the aluminum mailbox. Allow the sealer to dry for two hours, and then apply a coat of etching primer to the entire mailbox. Allow the etching primer to cure for four hours, and then apply two coats of acrylic spray paint to the mailbox. Allow two hours of dry time between coats.